German lessons to be continued – with Anna! There are curious incidences from time to time. A friend of our association is looking for a traineeship for a friend of hers, possibly at a school in Sri Lanka. The young lady Anna has just passed her A-Levels successfully and is going to travel around the world. Why not start in Sri Lanka? First stop in Weligama. One of her friends has organized a booking at a guest house where she will stay during the first days. 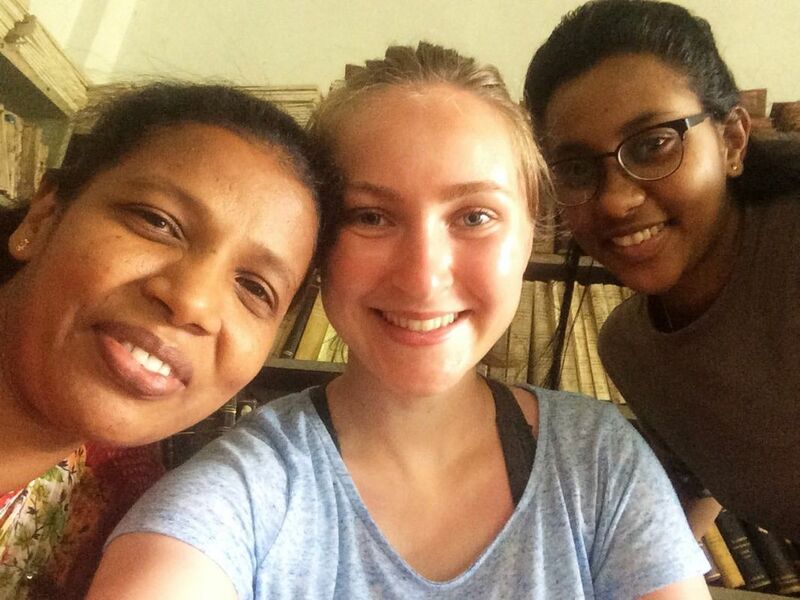 What’s app-messages help to contact members of the Neuwied-Matara-friendship-Association and teachers at Anura College, and there is Ridmi who spent three months in Germany end of last year. She can accompany Anna to her former school and introduce her….No problem, they agree, and Anna can start! 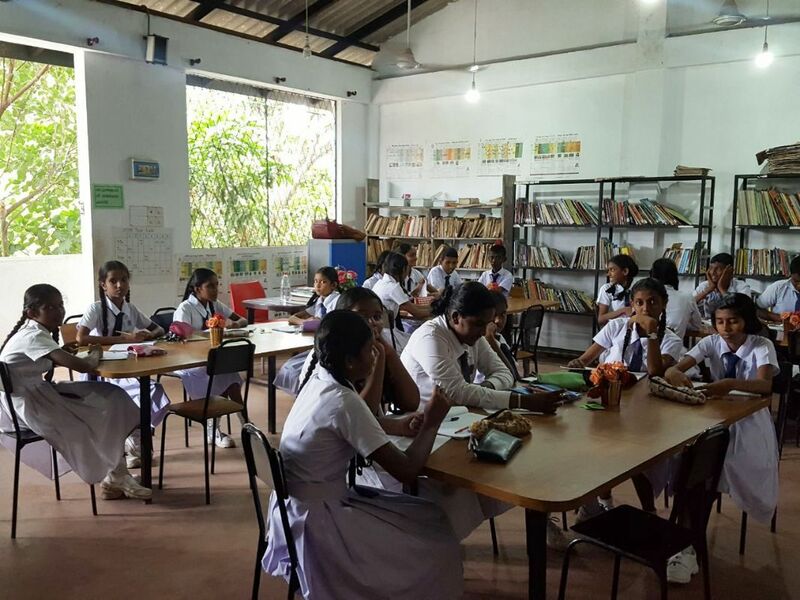 Today, Friday, May 11th, Anna visited Anura College accompanied by Ridmi, welcomed by our coordinating teacher Mrs. Isha, and off they go to the library where students are waiting for the German lesson. This is a quite new situation for Anna, but she applies “learning by doing”, and things turn out well. Perfect! For one week, Anna will do these German lessons, or even a bit longer, who knows? Her travel plans are voluminous. 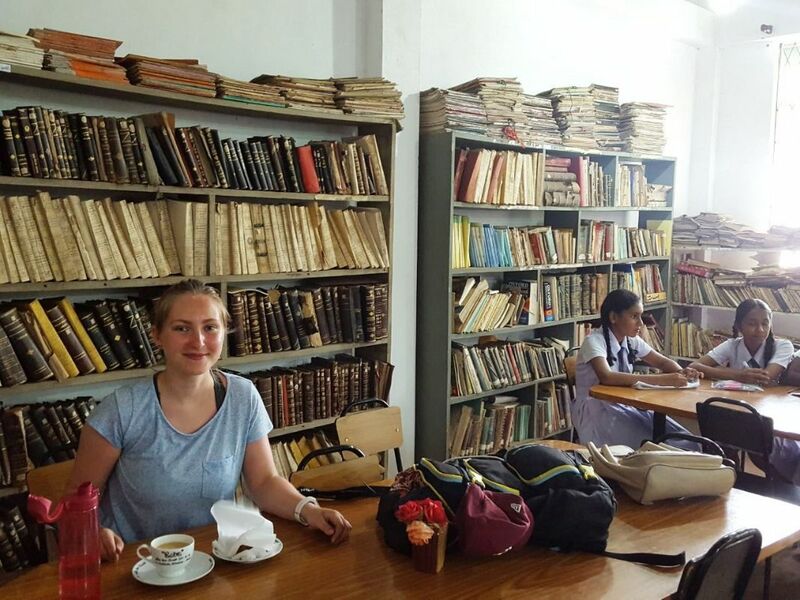 But teaching Singhalese students in German, learning a bit about the country and its people, making contacts with new friends,….is a good start to immerse into a new culture and way of life. And when you are open and friendly, you will cope with the new situation, learn a lot and there will be useful and good experiences on both sides. We wish success, positive experience, and friendly people on her way, and unforgettable impressions. These are the best conditions to start her studies when going back to Germany with drive into new things. Viel Glück, Anna, good luck, subha pathum!